Founded more specifically in Marshall Square near Cullerton and Washtenaw. Originally affiliated with People from 1980-1994. 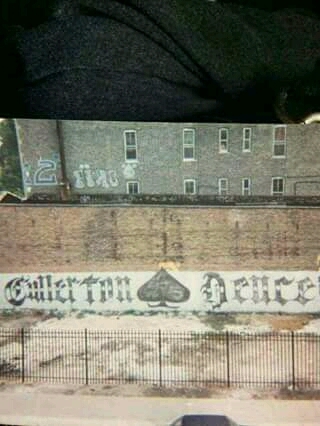 The Cullerton Deuces started in probably the year 1970 in the Marshall Square section of the South Lawndale neighborhood at the corner of Cullerton and Washtenaw. The Cullerton Deuces are actually a spin off or offshoot of the Morgan Deuces from over in East Pilsen at 18th and Morgan. One of the young Morgan Deuces moved to this area and started his own gang called the “Cullerton Deuces” and adopted to the same colors of grey and white and the same symbols as the Morgan Deuces that date all the way back to the early 1950s in the West Loop neighborhood. 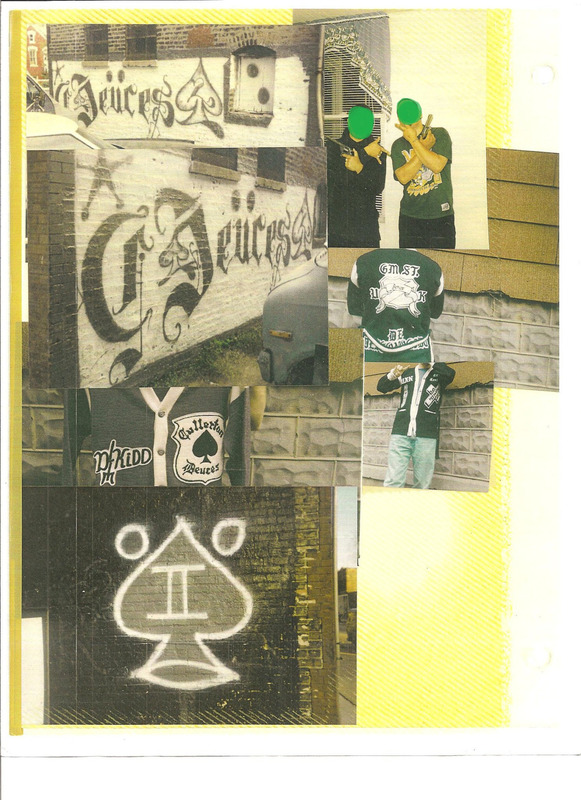 The Deuces’ first enemies were the 24th and Rockwell and 18th and California Satan Disciples, Ridgeway Lords, Two Sixs, Two Two Boys and Racine Boys. 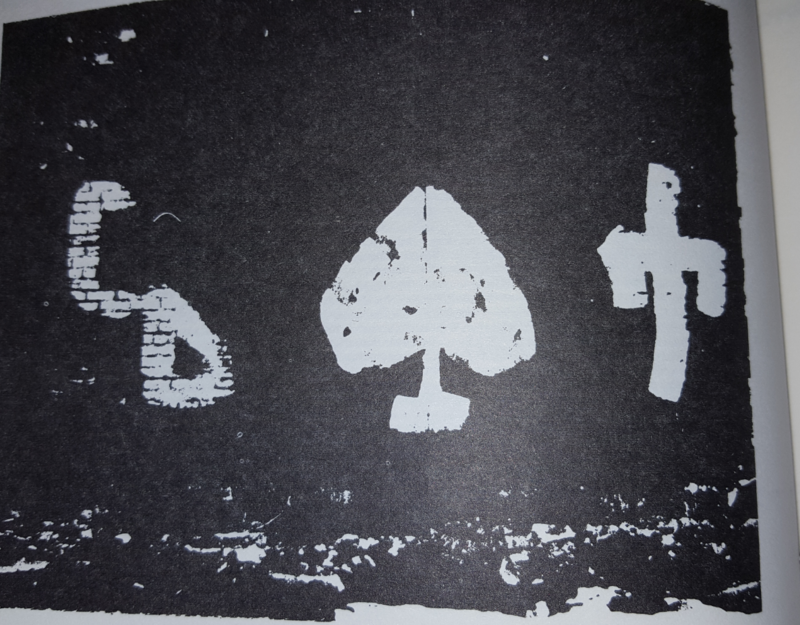 One of the biggest enemies for the Deuces was the Two Two Boys because the Two Two Boys were right there at Cermak and California which was only a few blocks away. Another big enemy of Cullerton Deuces was Ambrose because Ambrose killed a Deuce named “Shanker.” The best friends of the Cullerton Deuces were the Latin Kings, Artistic Stone Kents and the Villa Lobos. 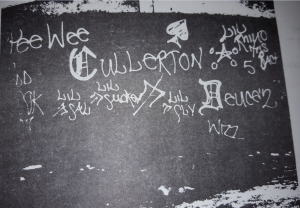 In the year 1981, the Cullerton Deuces joined the People Nation alliance because more gangs were being invited into the Folk and People alliances and because their cousin gang the Insane Deuces had also joined the People Nation that same year. Now the Cullerton Deuces were drawing closer to the Latin Kings, Latin Counts and Bishops as allies. 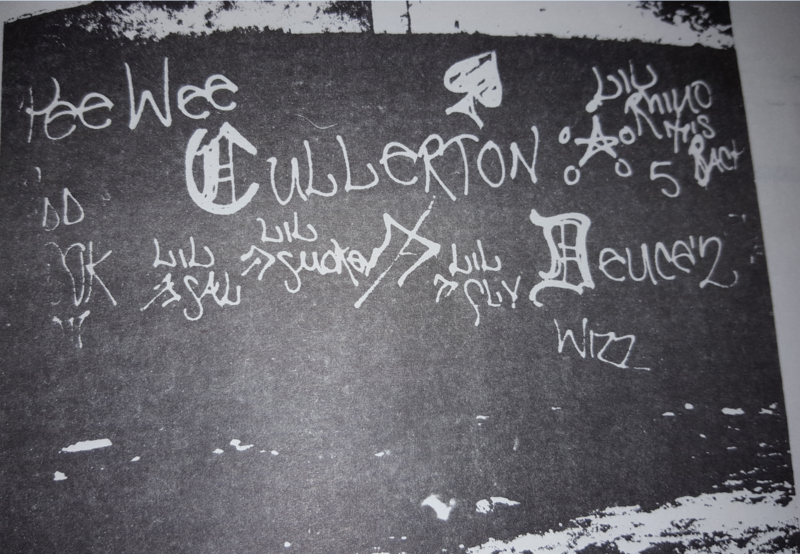 It was also at this point in time in the very early 1980s that the Cullerton Deuces managed to absorb a party crew called the “TNT Boys” who were known to be tough brawlers. “Crank,” the leader of the TNT Boys made the decision for his crew to join the Deuces after problems with the Satan Disciples became a major issue. The absorption of the TNT Boys caused the Deuce’s turf to expand from California Ave to Rockwell Street and 19th Street down to Cermak Road. The Deuces then had a nice section at 21st and Washtenaw. At the edge of their territory were the Two Two Boys at Cermak and California which the Deuces tried to claim that corner as their own as well this resulted in a bloody gang war in the 1980s between the two gangs. From a 1980s Chicago Police manual back when they were People Nation. A fantastic mural and a Deuce tag in the background in a prime location. A highly complex mural done perhaps in the 1990s. 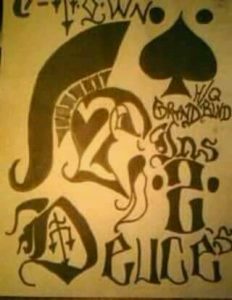 A well-made drawing from the 1980s or early 90s when Deuces were People nation. In the year 1992, the cousin gang to the Cullerton Deuces the Insane Deuces flipped alliances joining the Folk Nation which caused a riff between both Deuce organizations, some even say there was a war, however, both gangs were on opposite sides of the city, for two years these hard feelings were felt until events went down in 1994 that brought the two back close together. “Artie” was in charge of the Deuces in the early 90s and into 1994. 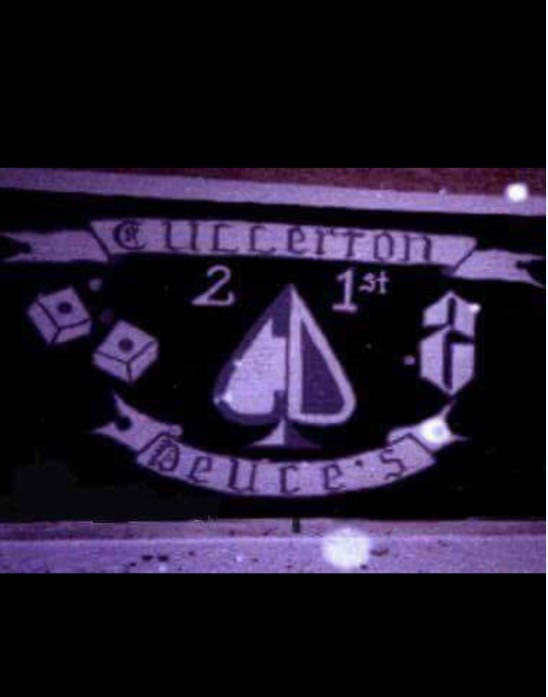 The Cullerton Deuces had a tight relationship with the Latin Kings even as the Insane Deuces from up north were at war with Latin Kings, the Cullertons were all good and they shook hands with each other. 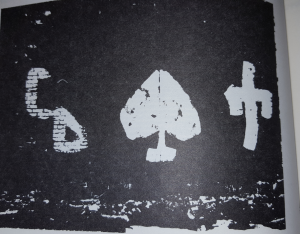 In 1994, the Latin Kings and Deuces started to have tension between each other that perhaps was very minor but enough to cause tempers to flare. In April of 1994, the Latin Kings and Cullerton Deuces started to have altercations about a girl from 25th and California. 25th and California was Latin King turf. The dispute carried over at a bar at the corner of 21st and Washtenaw and it would change the history of the Cullerton Deuces forever. Cullerton Deuces Kaos, Chagoya and possibly Artie had an altercation with the Latin Kings outside the bar and this escalated into the Cullerton Deuces pulling out baseball bats and beating the Latin King to death. The Deuces involved were arrested but beat the case in court. After the beating death of the Latin King, the Deuces added more injury to the Latin Kings as 15 year old “Demon” and “Drak” of the Cullerton Deuces wondered over to Latin King territory at 21st Place and California and began spraying graffiti all over Hammond Elementary School (2819 W 21st Pl, Chicago, IL 60623). Latin Kings took notice and went over to attack the two youths but Drak pulled out a gun on the Latin Kings and threatened to shoot them if they tried to intervene. Drak kept holding the gun at the Latin Kings while Demon kept spraying the graffiti, the Latin Kings were unarmed at this time. After this happened the Latin Kings marked Demon and caught him a short time later on his front porch and shot him dead at 21st and Fairfield. After all this violence the Latin Kings aggressively pursued Cullerton Deuces from all angles and came into Deuce territory shooting and attacking many members, this was a problem for Deuces because the Latin Kings are the strongest organization in Little Village and the Deuces had no allies left and were surrounded by enemies. Artie made the decision to get help from the Insane Deuces up north but this would come at a cost; the Cullerton Deuces would have to join the Folk nation, not only that, they would have to join the Insane Family from up north and even become a section of Insane Deuces, losing all their original identity. Several older members of the Deuces walked out and flipped to Latin Kings while others kept their membership and accepted being Folks especially Artie made the decision. In 1994, the Cullerton Deuces were officially a part of the Folk nation, the Insane family and a section of the Insane Deuces. The colors of the Deuces were changed to black and green to follow suit with the Insane Deuce nation they were now part of. The new alliance with the Folk nation squashed their wars with Ambrose and Two Two Boys at first, wars with Satan Disciples would continue. Many older members (half the gang) were very upset about the Folk nation change and refused to be a part of this mainly because of a new alliance with Ambrose which they viewed as dishonoring Shanker (Artie’s brother) since Shanker was killed by Ambrose. The Cullerton Deuces had no issue filling in for the members that flipped to Latin Kings and their numbers grew more quite a bit and the new members were thirsty to shoot and/or flash gang signs at any Latin Kings they saw; the organization soon became a little larger than before they turned Folks. The gangbanging caught up with the Cullerton Deuces as many members got locked up for murder and drugs depleting their numbers. Many of the older members that didn’t get locked up flipped to other gangs (not Latin Kings, these ones flipped to other groups). Artie himself fled to Texas in the later 1990s and eventually the organization became full of mostly younger members that were more scarcely seen than in the mid-1990s at their peak. The territory shrank until the Deuces were just left at 21st and Washtenaw. Please send in old school pics from the 1970s, 1980s and 1990s. 1970s pics will be especially appreciated! Who was the founder of the CDs and what happened to him? Was 1970 indeed the year of the founding? What were the timeline of leaders up to 2000?